Offering you a complete choice of products which include alphalan tablet, ibandronic acid injection, bandrone tablet, bendit injection, bortenat injection and glatimer injection. 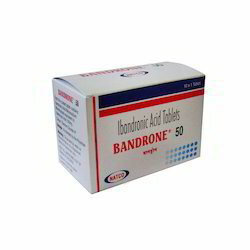 Bandrone 150 mg tablet belongs to a class of medication called bisphosphonates. It prevents breakdown of the bones. It also increases the density of the bones thus preventing osteoporosis. Owing to our expertise, we are offering clinically approved Bandrone Tablet which is used for treatment and prevention of osteoporosis, the offered bandrone injections are tested on numerous quality parameters by vendor’s quality controllers for dispatching a flawless range. These bandrone injections are well processed by using the top grade ingredients and sophisticated technology, in compliance with the medical standards. 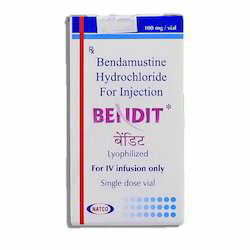 Bendit 100mg injection works by damaging the genetic material (DNA) of the cancer cells and stops their growth and multiplication. 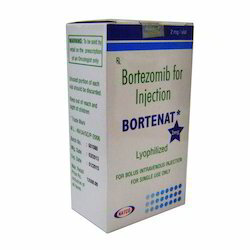 Our valuable clients can avail from us a quality approved Bortenat Injection. 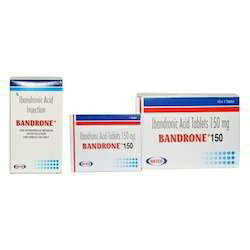 This bandrone medicine is appreciated in the market for its effectiveness & accurate composition. The offered bandrone tablet is tested in terms of quality so as to supply a quality range. This bandrone tablet is processed by making use of best ingredients by our skilled professionals. Composition FOR GLATIMERGlatiramer Acetate(20 mg) Uses Glatimer 20mg injection is used in the treatment of multiple sclerosis (ms)How it works Glatimer 20mg injection belongs to a class of drugs called immunomodulatory agents. It works by modifying the body’s immune system and thereby preventing the damage to the insulating covers (myelin sheath) and protecting the brain and spinal cord cells, however the exact mechanism by which it modifies the body’s immune system is not known. Looking for Natco Medicine ?